being little • bristol uk fashion & lifestyle blog. : sleep until it's done. "I'm a mess, I'm a wreck, but you wouldn't know 'cause I'm at my best when I'm with you." - Big Deal. So last night I had to make a cottage pie, and today I had boiled eggs (from Elliott's mum's chicken's bums) and soldiers. 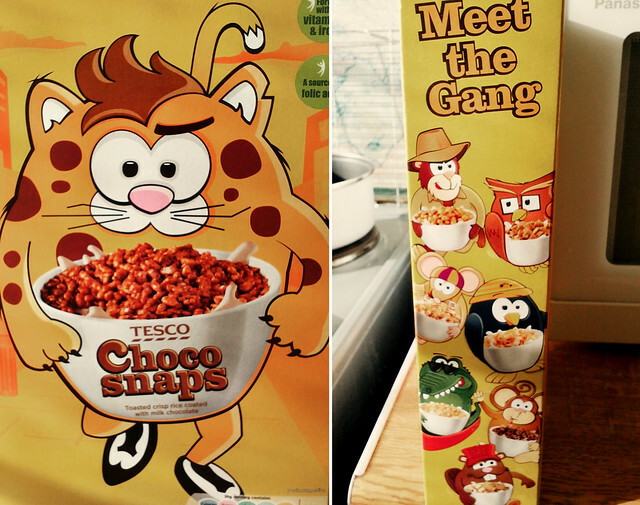 I also went all the way to Tesco just for some "choco snaps". I was convinced by the packaging - I'm a sucker for a fat feline. Feeling pretty tense in general at the moment. I'm pretty sure it's down to my new sessions of CBT and not really knowing what they'll entail, and the Cosmo Blog Awards which are now less than a week away! Hoping I don't have a nervous breakdown by the time it rolls around...! and milkteef is right - a dippy egg is just what i fancy. but all i have is an apple! the worst!! That cottage pie looks so so good! that cottage pie looks so good! 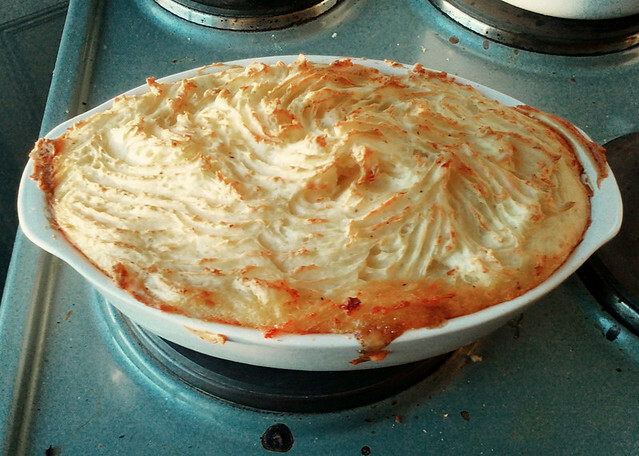 i made a chilli cottage pie (and subsequently 3 since) last year from a recipe in a magazine and it was amazing. if you like chili (not HOT) and sweet potato i suggest you give it a try! http://www.gembear.com/2010/10/chilli-cottage-pie.html (sorry not advertising my blog - just thing this recipe is amazing!). I so hungry now! That cottage pie looks amazing! 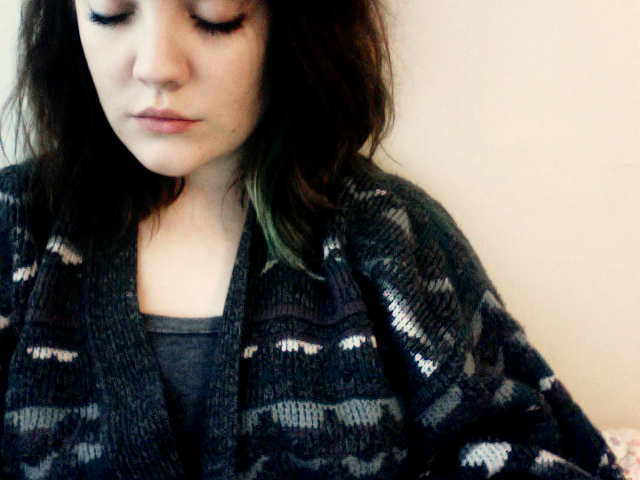 I love your cardigan, hope you feel a little less stressed soon!! this post featured all of my favourite comfort foods ever, except for one: croissants with scrambled egg and salmon! 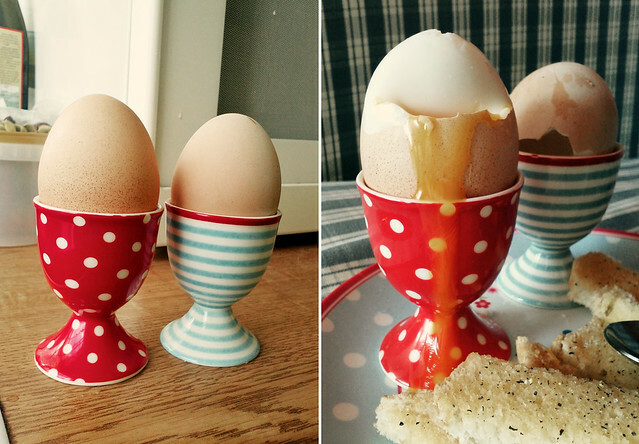 your egg cups are so lovely! not as lovely as your food though. when I next feel like comfort eating I'll know where to come! You are sooo sweet and ...I'm hungy now!! I think comfort eating has a bit of a bad press, when 2bh, I feel the same as you in that it cures better than most things I know! i hope you're feeling okay & feel better soon! comfort food is amazing. I think the packaging has lured me into wanting to buy them.. 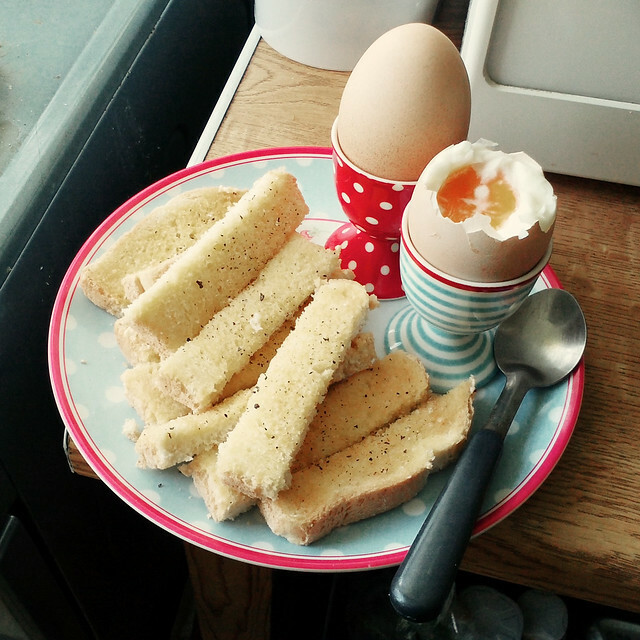 I've not had "egg & soldiers" for years!! YUM! i never knew what eggs and soldiers were before now! is it just little bits of toast cut up that you dip in the egg? yum! when i'm sad i do the opposite and go off food completely. i have no appetite at all, although the picture of the eggs and soldiers is kind of tempting. yum! i am officially hungry! Oh man I so should not have read this post right now! Haha I'm at work and I didn't have breakfast before I came so those eggs look particularly amazing right now. Also just wanted to send you some well wishes. Hope you're ok lady. You're amazing! !